PatLit has recently reported a decision of the German Supreme Court (BGH) in relation to a risk of first offence by exhibiting products on a trade fair in an unfair competition case here. The court found that the mere exhibition of products does not necessarily mean that the products are offered for sale. Further evidence is needed to support this finding. The question if and how this can be transferred to patent infringement remained open. 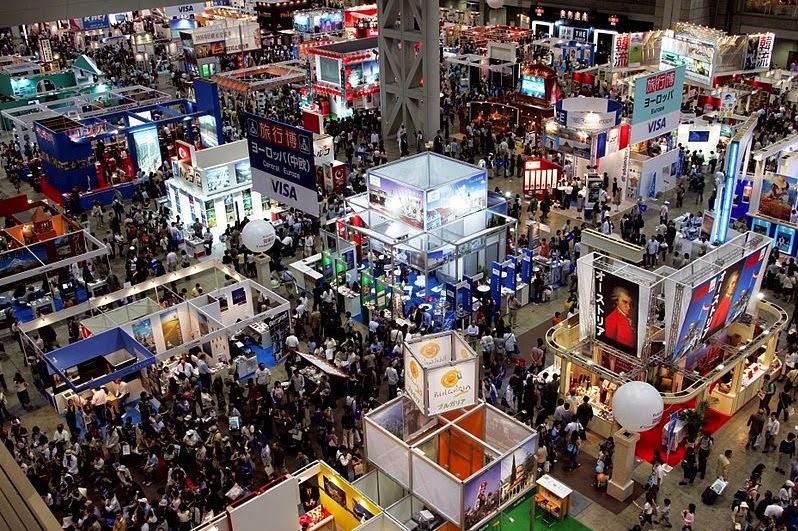 The OLG Düsseldorf has now decided that exhibiting infringing products on a specialist trade fair is "offering for sale" in the sense of § 9 S. 2 Nr. 1, 2. Alt. of the German Patent Act (PatG) unless the fair qualifies exceptionally as a pure "performance show" (Leistungsschau). This ruling is contrary to an earlier ruling by the Mannheim District Court (29.10.2010, 7 O 214/10, see here) which judged that the mere fact of exhibiting a product infringing a patent was not sufficient to prove the alleged infringer's intention to sell the product in Germany with a degree of certainty sufficient to grant a preliminary injunction. The question had been answered for trademark infringements by exhibiting on trade fairs in the decision Pralinenform II and in relation to a risk of first offence in an unfair competition case here. For more background information see here. 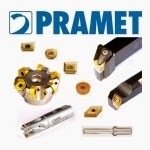 Kennametal Inc v Pramet Tools SRO, Associated Production Tools Ltd and Comptroller-General of Patents, Designs and Trade Marks, a Court of Appeal, England and Wales, ruling last Wednesday, is noted on subscription service Lawtel. It's a short case. After Kennametal's UK patent was held invalid in earlier proceedings ( EWHC 565 (Pat)), Kennametal did not seek permission to appeal against the revocation decision. Instead ,it applied -- and failed -- to get a stay of an order revoking the patent, pending the outcome of an application to amend which it had brought before the European Patent Office. Kennametal subsequently did appeal against the refusal to stay the revocation. 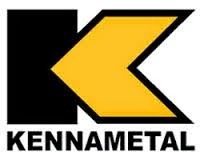 Shortly before the date fixed for hearing this appeal, Kennametal and Pramet reached a settlement. The day before the hearing, the Comptroller received notice from Pramet that it intended neither to oppose the appeal nor to attend the hearing. At this point the Comptroller immediately served notice, stating its intention to intervene and to attend the hearing in order to oppose the appeal. The Court of Appeal ((the Chancellor, Sir Terence Etherton, together with Lords Justices Christopher Clarke and Vos) had to decide whether it was appropriate to adjourn in light of the recent developments. Granting the Comptroller's application, the Court of Appeal held that the points raised in the appeal were important and of general application in relation to the revocation of patents. It was accordingly important that the appeal be argued properly and fairly. If that were to be done, it was perfectly clear that there was no alternative to adjourning the appeal in order to allow the important points of principle to be argued properly by the Comptroller. This ruling serves as a warning that, while settlement of a dispute by mutual agreement between the parties is a desirable aim, it is not an end in itself and, in this case, it is not an end to the litigation either. Pharma and biotech patents: time for a rethink? "Pharma & Biotech Patent Litigation" is the title of C5's 7th annual Forum on that topic, taking place on 19 and 20 March 2015 in Amsterdam's Hotel Okura. A blogpost on pharma and biotech patents on the IPKat last week raised the question whether, given the fact that the pharma and biotech sector has so many legal issues that are largely unique to it, thought should be given to starting afresh with a sui generis for protecting innovation in the sector. This would obviously have major consequences not just for protection but also for litigation. A number of readers have already posted their comments on that blog, and readers of PatLit are invited to do so too. Incidentally, the Forum's organisers are offering a 10% reduction on the registration fee for IPKat readers who quote the VIP Katcode 630IPKAT10. Further particulars and registration details are available here. There's also a pre-conference workshop here. On January 20, 2015, the U.S. Supreme Court handed down its first patent decision of the current term, rejecting the U.S. Court of Appeals for the Federal Circuit’s long-standing practice of reviewing district court patent claim construction rulings, including subsidiary factual findings, without deference. The Supreme Court ruled that the Federal Circuit review all district court factual findings for “clear error,” even if the fact is nearly dispositive of the claim construction issue. The ultimate interpretation of the claim remains a legal conclusion, however, that the Federal Circuit will review de novo. Teva Pharmaceticals USA, Inc. v. Sandoz, Inc., Case No. 13-854 (Jan. 20, 2015). The slip opinion is available HERE. The interpretation of the asserted claims frequently is critical to the outcome of a patent dispute. The construction of disputed claim terms determines whether an accused product infringes the patent and is pivotal to most invalidity defenses. In Markman v. Westview Instruments, Inc., 517 U.S. 370 (1996), the Supreme Court ruled that claim construction is an issue delegated to the trial judge, even when it involves fact issues, such as the meanings of terms of art recited in a claim. Markman did not expressly state whether those factual findings subsumed in a claim construction ruling are subject to de novo review (as normally would be the case for legal rulings) or to review for “clear error” (as normally would apply to judicial fact findings). In Cybor Corp. v. FAS Techs., Inc., 138 F.3d 1448 (Fed. Cir. 1998) (en banc), the Federal Circuit held that it would review district court claim construction rulings to de novo, reviewing the record without deference. Critics of the Cybor policy, including several Federal Circuit judges, have pointed out that the approach is inconsistent with the prevailing claim construction analysis, which requires district courts to consider a factual record consisting of both “intrinsic” evidence (the patent claims, specification, and prosecution history) and “extrinsic” evidence (such as expert testimony, treatises, art references, and other facts outside the patent and prosecution). The Supreme Court ruling comes in a case involving drug patents under the Hatch Waxman Act. Teva Pharmaceuticals owns several patents covering its Copaxone® multiple sclerosis drug. Sandoz and other generic drug companies filed Abbreviated New Drug Applications seeking approval to market a generic form of the drug. In response, Teva filed an infringement action under the Hatch Waxman Act. 35 U.S.C. § 271(e)(2). Sandoz argued that a group of claims in the Teva patents were invalid as indefinite, because the term “molecular weight” appearing in the claims was subject to multiple incompatible meanings, and the patents themselves and the relevant prosecution histories did not resolve the ambiguity. The United States District Court for the Southern District of New York ruled that the claims were not indefinite. Among other things, the district court based its determination on its construction of the disputed term, relying on expert testimony presented by Teva that the term "molecular weight" was not ambiguous. On appeal, the Federal Circuit, reversed, ruling that the claims were indefinite. The Federal Circuit reviewed the conflicting expert testimony Teva and Sandoz presented to the trial court on the question whether the term “molecular weight” was ambiguous. The Federal Circuit concluded that “on de novo review of the district court's indefiniteness holding, we conclude that Dr. Grant's testimony [introduced by Teva] does not save Group 1 claims from indefiniteness." Teva appealed to the Supreme Court. In a 7-2 decision, the Supreme Court reversed the Federal Circuit, holding that it should have accepted the district court’s determination that “molecular weight” was not ambiguous unless the finding was clearly erroneous. Justice Breyer, writing for the majority, reasoned that Fed. R. Civ. P. 52(a)(6) mandates this more deferential standard of review and nothing in the Court’s jurisprudence or the rationales adopted by the Federal Circuit in Cybor permitted a different standard. Breyer noted that although Markman gives the district judge sole responsibility to construe a patent claim, it recognizes that claim construction will require subsidiary factual findings. Analogizing a judge’s role in claim construction with a similar role in interpreting contracts or deeds, the Court observed that these subsidiary findings are subject to review for clear error, even when the ultimate interpretation of the documents receives de novo review. During the claim construction process, “courts may have to resolve subsidiary factual disputes. And . . . [Rule 52(a)(6)] requires appellate courts to review all such subsidiary factual findings under the ‘clearly erroneous’ standard.” Slip op. at 7. Neither the [Federal] Circuit nor Sandoz, however, has shown that (or explained why) divergent claim construction stemming from divergent findings of fact (on subsidiary matters) should occur more than occasionally. After all, the Federal Circuit will continue to review de novo the district court’s ultimate interpretation of the patent claims. And the attorneys will no doubt bring cases construing the same claim to the attention of the trial judge; those prior cases will sometimes be binding because of issue preclusion, see Markman, 517 U. S., at 391, and sometimes will serve as persuasive authority. Moreover, it is always possible to consolidate for discovery different cases that involve construction of the same claims. And, as we said in Markman, subsidiary fact-finding is unlikely to loom large in the universe of litigated claim construction. The district judge, after deciding the factual dispute, will then interpret the patent claim in light of the facts as he has found them. This ultimate interpretation is a legal conclusion. The appellate court can still review the district court’s ultimate construction of the claim de novo. But, to overturn the judge’s resolution of an underlying factual dispute, the Court of Appeals must find that the judge, in respect to those factual findings, has made a clear error. Fed. Rule Civ. Proc. 52(a)(6). Slip op. at 13. The clear error standard applies even when the factual finding “is close to dispositive of the ultimate legal question of the proper meaning of the term in the context of the patent.” Id. Applying this framework to the case on appeal, the Court held that the district court’s fact finding that a person skilled in the art would not have consider the “molecular weight” ambiguous was entitled to deference. “The Federal Circuit should have accepted the District Court’s finding unless it was “clearly erroneous.” Our holding today makes clear that, in failing to do so, the Federal Circuit was wrong.” Id. at 16. Justice Thomas dissented, arguing that the entire claim construction issue was legal, notwithstanding any subsidiary facts, and should be subject to de novo review, just as a trial court’s interpretation of a statute is reviewed without deference. He added that he feared the ruling would lead to divergent decisions in patent cases, leading to uncertainty and, ultimately, suppression of innovation. Although the Teva decision does not expressly alter the analytic framework used in claim construction proceedings since Phillips v. AWH Corp., 415 F.3d 1303 (Fed. Cir. 2005) (en banc), it is likely to introduce important strategic issues in patent cases, especially relating to conduct of claim construction proceedings. The extent of those changes will depend on how the Federal Circuit applies the decision in subsequent cases. Spanish challenge to new European regime: is the Court of Justice failing to engage with the issues? On 18 November 2014, Advocate General Yves Bot‘s Statements of Position in the Spanish nullity proceedings against the two Regulations on the “unitary patent” were published, his recommendations to the Court being a rejection of the actions. Once again, the legal issues are subordinated to the political interest in the implementation of the “patent package”, however, based on a widely not very convincing argumentation. Especially the Statement in case C-146/13 largely tries to avoid any contextual debate of the critical aspects raised, e. g. in relation to the adequacy of legal protection at the European Patent Office, while contradictions and misunderstandings occur repeatedly. Not least in view of the recent events at the European Patent Office, culminating in the suspension of a Boards of Appeal member by the President, the question arises to what extent the Statements of Position can form a suitable basis for the Court’s decision at all. The presented Opinions are not convincing. When comparing them to the Opinion from proceedings 1/09, which addressed the existing problems in all their clarity, they rather seem to endeavor avoiding any confrontation with the controversial issues and to seek to easiest way to come to a rejection of the complaints. The impression arises that it is sought to achieve a predefined result, without having well-founded arguments supporting it. This may imply that a serious discussion of subject matter is possibly not wanted, because all the institutions involved anyhow wish to nod the package through. One decisive aspect will be whether, despite the neglect in dealing with this issue in the Opinion, the CJEU will be prepared to tackle the situation at the EPO. Should they avoid this or not deal with it exhaustively, the focus will shift to the national Constitutional Courts for this examination, especially to the German BVerfG due to its mentioned powers to review ratification statutes. Since ratification by Germany is obligatory for the UPCA to enter into force, a veto by the BVerfG would stop the whole project. Already for this reason, it will be interesting to see how the CJEU will deal with Spain’s actions. Its judgments should be given in spring 2015. PatLit looks forward to reading Ingve's comments when the CJEU finally gives its decision. There has been some dispute on how the news that a company is sued for patent infringement influences the share price (in particular in the context where the plaintiff is a so-called troll, see here). Today's news is that not a legal action but merely the publication of a decision to grant a US patent relating to an action camera system to Apple Inc. made the share price of the "action camera" producer (and market leader) Go Pro dramatically drop. Indeed, the share value of GoPro dropped by roughly 13% on Tuesday. Looking at the 1 month chart (right), the development appears less dramatic and well within the order of magnitude of typical fluctuations. A further interesting point is that the patent specification specifically mentions drawbacks of GoPro products (this not being a surprise given that GoPro is the market leader). This is interpreted by the jounalists in such a way that Apple has specifically targeted GoPro. An interesting case on how and why the mentioning of drawbacks or problems of competitor's products in a patent specification may harm a company's reputation and be unfair competition (and what the company can do against this) was reported here. The secretive business attitude of Apple promotes speculations on potential new business fields in an extreme way and the mere publication of patent application has already been the basis for business news created by journalists reading the tea leaves and subsequent hysterical reactions earlier. However, the huge impact on a specific stock price of a third party is a new and scary development for me. After all, patent documents are not meant to be business news. As a rule, each party bears its costs in EPO opposition proceedings and the subsequent appeal. However, the opposition division or the Board of Appeal may order a different apportionment for reasons of equity (Art. 104(1) EPC), which happens very rarely. In the case T1071/06 the board had issued a preliminary opinion indicating that a document D0 would be considered as the closest prior art and the preliminary view was that the claims were inventive over D0. In response to this, frustrating punch, the opponent/appellant indicated one month after receipt of the summons that it would not attend to the oral proceedings. The patentee/defendant attended to the oral proceedings alone and requested to impose the costs for the preparation and attendance to the oral proceedings to the appellant because the remaining issues could have been resolved in writing if only the opponent/appellant had given up earlier. The board found that the appellant's behaviour was not abusive but that it is fair to grant each party the right to re-consider its case after receipt of the preliminary opinion. Besides, the oral proceedings would have been expedient in any case to resolve the remaining issues. Wobben Properties GmbH v Siemens Public Ltd Company and others  EWHC 3173 (Pat) is a Patents Court, England and Wales, decision of Mr Justice Morgan that dates back to early December of last year. Sorry about the delay in blogging it, but we are all over-stretched and this blog desperately needs more blogging fire-power. This decision is one of the many which deal with the nuts and bolts of procedural issues in pursuit of enforcement at national level. Wobben, which held a European patent -- which was soon to expire -- for a method of operating a pitch-controlled wind turbine, maintained that Siemens had infringed its patent by making, marketing and supplying wind turbines to its customers which incorporated that patent's technology. The seven other defendants were said to have infringed the patent in the course of developing various wind farms which used Siemens' wind turbines or by installing wind turbines for Siemens and other defendants. Inevitably the defendants challenged the validity of Wobben's patent. Wobben was concerned, that even if it succeeded against Siemens and the other seven defendants in this action, it might still have to press ahead with legal action against the end users of the technology, because the use of the technology was so very profitable. While Wobben had identified Siemens' customers within the jurisdiction, it didn't want to sue them all -- just those which had used the technology. It therefore wanted Siemens to identify the instances in which the technology had been activated so that Wobben could invite them to be bound by the decision in this action or to be joined as parties to it, thereby saving time and costs. Wobben therefore applied for a Norwich Pharmacal order that Siemens disclose the names of the customers concerned. Siemens resisted the application, arguing that the disclosure of the information would cause it reputational damage. * in proceedings against the end-users, the time and resources of Wobben and of the court would be wasted if the issue of the patent's validity were to be raised again. * As for reputational damage likely to be suffered by Siemens, it was actually the case that Siemens ran a higher risk of exposure to even greater reputational damage, involving more customers, if it didn't provide the information sought. This was because Wobben was likely to make claims against more customers if it didn't know which ones to sue than it would if Siemen eliminated the customers which had not used the technology. * it was not appropriate to have a mini trial in relation to the assertions and counter-assertions about reputational damage. Rather, the court should simply assess the likelihood (or risk) of serious harm coming about. On this basis Siemens would be better off if the court made the order sought, leaving it to Siemens to put its own spin on it via its own customer communications. * while Wobben could could have made its application sooner, it would be disproportionate to deny it a Norwich Pharmacal order on the ground of delay. This decision seems to be a sensible and practical one, particularly when viewed from the perspective of the efficient use of the court's time and resources -- an issue that the House of Lords did not consider when it first contemplated the availability of such orders back in 1973.